1. Soutenir BE clé, lire le mot de passe et de préparer une nouvelle clé via IR. 4. Mot de passe calculer: support des touches de BGA, clés NEC (comprennent 51,57version), etc., travaillent vite. 8. Fonction Unlock ELV sera publié bientôt. 1. 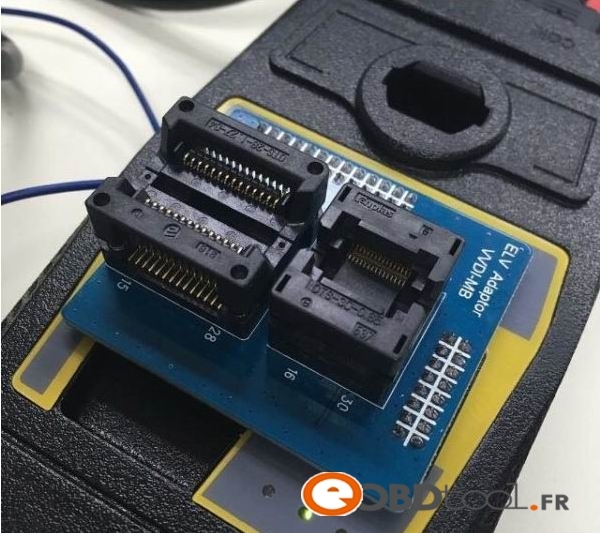 VVDI MB TOOL power adapter working on FBS3 type all key lost and gateway emulation, support C class, E class, CL, CLK. ML. GL. GLK types etc.. This entry was posted in VVDI MB Tool and tagged vvdi mb bga, vvdi mb tool on May 9, 2017 by sales. This entry was posted in Programmateur de clés and tagged Benz key programmer, original xhorse, vvdi mb tool on May 2, 2017 by sales. 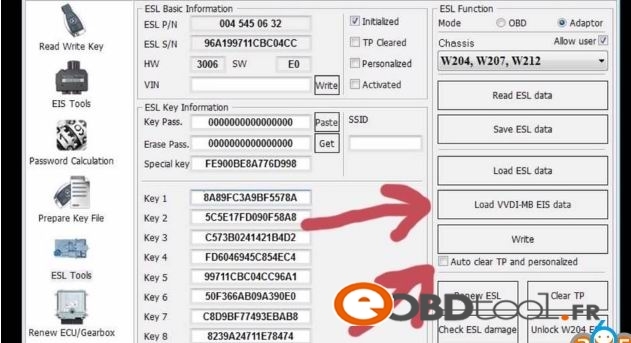 go to ESL use Loas VVDI ESL data+tick auto clear TP+Write all set to go. 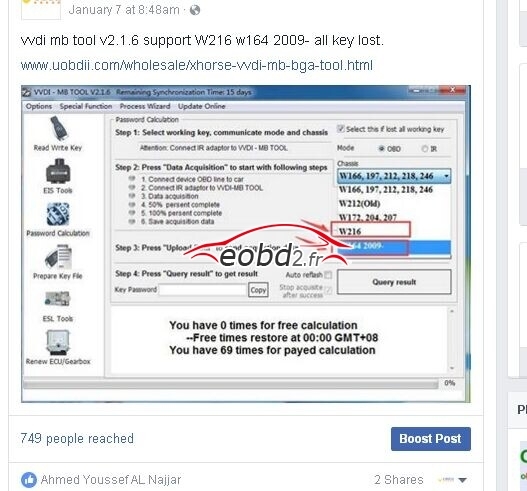 This entry was posted in Uncategorized, VVDI MB Tool and tagged original xhorse vvdi mb tool, vvdi mb tool on February 17, 2017 by sales. This entry was posted in Programmateur de clés and tagged vvdi mb tool on January 10, 2017 by sales. 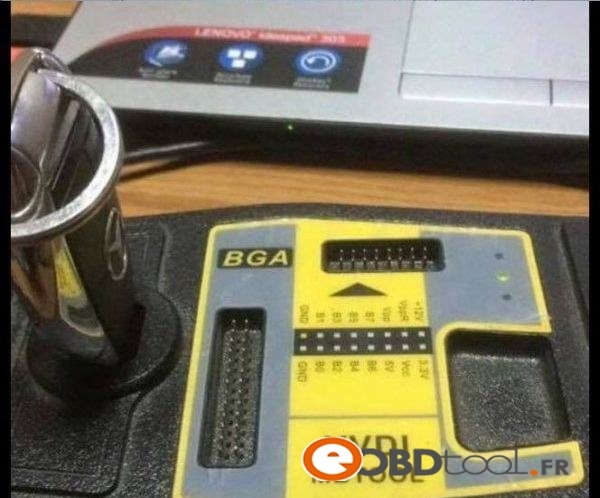 Xhorse VVDI Benz VVDI MB TOOL Benz V2.0.7 Updated! 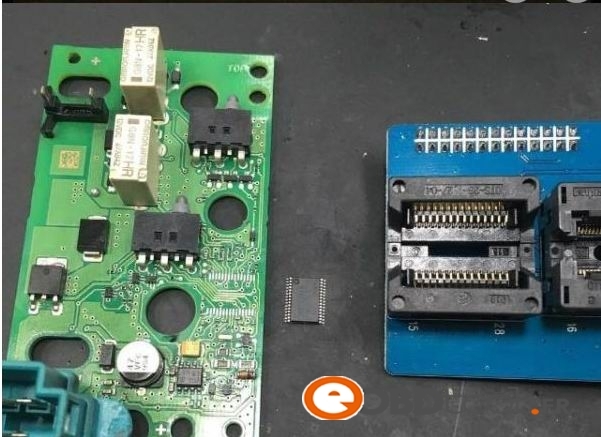 This Benz V2.0.7 software of the Xhorse VVDI MB TOOL requires firmware V2.0.7. 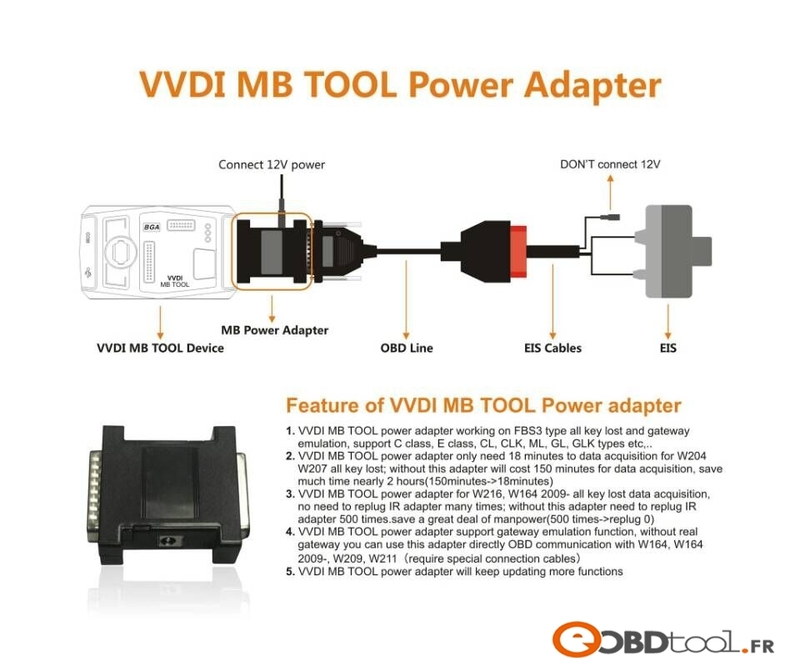 Learn how to update the VVDI MB TOOL: http://www.eobdii.fr/upload/pro/201512/xhorse-vvdi-benz-vvdi-mb-tool-key-programming-user-manual.pdf. 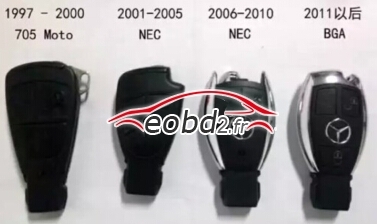 This entry was posted in Mise à jour Nouvelles, Programmateur de clés, VVDI MB Tool and tagged Benz key programmer, VAG tool, VVDI, vvdi mb tool on February 29, 2016 by sales. Require firmware version to be V2.0.6. This entry was posted in Mise à jour Nouvelles, Programmateur de clés and tagged Benz key programmer, VAG tool, VVDI, vvdi mb tool on January 27, 2016 by sales. Xhorse VVDI Benz VVDI MB TOOL Key Programmer Latest Version V2.0.5 Updated! Xhorse VVDI Benz VVDI MB TOOL Key Programmer updated from V2.0.3 to V2.0.5. This is the new update information. 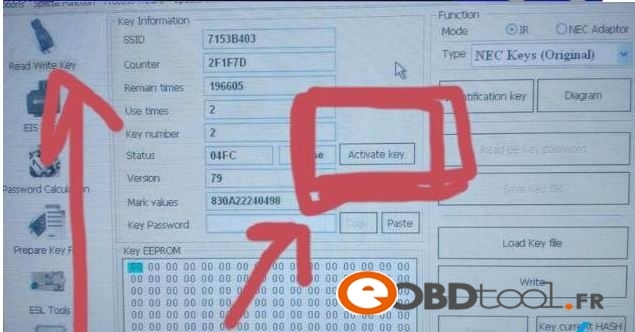 About how to update, please learn from: http://blog.eobdii.fr/how-to-update-firmware-of-the-original-xhorse-vvdi-benz-vvdi-mb-tool-key-programmer/. This entry was posted in Mise à jour Nouvelles, Programmateur de clés, VVDI MB Tool and tagged Benz key programmer, VAG tool, VVDI, vvdi mb tool on January 7, 2016 by sales.